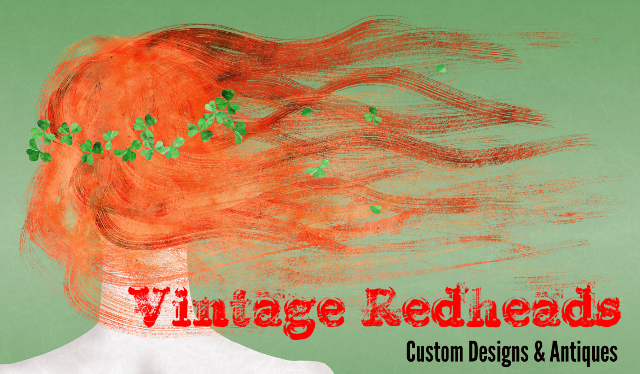 Welcome to Vintage Redheads ~ Custom Designs & Antiques! VINTAGE REDHEADS is a vintage market/decorating studio showcasing: painted furniture…antiques & collectibles…echoes from the past…decorating ideas for every style…a 2’ James Brown (just because)…upcycled vintage creations…ever changing displays…fun people…handmade florals & crafts…decorating classes…quaint seasonal décor…stuff that makes you think of God…women’s ministry events…unique barn wood furniture & accessories…scrapbooking supplies…wedding décor & event rentals…a bowl of chocolates…and great conversation. We can’t wait to see you!